This year the two-day Short Course for Journal Editors was attended by 27 editors and publishers. There was a wide range of experiences, and I can confidently report that we all learned something new. To inform readers of new research results. To educate readers about what is known. To correct published results that were wrong. To stimulate readers to learn more. Journal editors try to identify fraud, duplicate publication, plagiarism, and other forms of author misconduct, but we have insufficient time and resources to adequately police all bad behavior. Instead, we must rely on authors’ institutional leadership, local ethics boards, and others to monitor these behaviors. Journal editors also do not determine what is true. Instead, we assess whether evidence is credible: for example, the data have been collected, analyzed, and interpreted according to established scientific standards. Science does not determine truth—it instead seeks to approximate truth. Journal editors have to deal with many different stakeholders at many different levels. The editor and publisher should have explicit and written Terms of Reference. Policies on conflicts of interest, authorship, and research misconduct should be clearly written and accessible. If you don’t have a policy on research misconduct, it would be a good idea to consult policies of other medical associations, such as the American Medical Association, and adopt them or adapt them (with permission, of course) for your journal’s purposes. Any misconduct must be handled by activating your written protocol, as opposed to dealing with each issue case by case. This automatic protocol activation ensures that there is no preferential treatment. Editorial boards are crucial. The credibility and functionality of an editorial board depend on 1) respect for peer review, 2) teamwork, and 3) organizational checks and balances. There are many different ways to operate an editorial board. The best way for you and your journal depends on the size, mission, and history of the journal and the type of content it publishes. 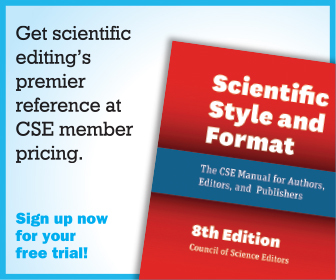 The main duties of your editorial board include reviewing manuscripts, recruiting manuscript submissions, and representing the journal to the outside world. At many journals, editorial board members are encouraged to submit papers to the journal, though this is not a universal requirement. Board member tasks should play to each member’s strengths and avoid any reasonable weaknesses. Honor the efforts and opinions of the board members. Many journals provide annual report cards for board members, which is a good way to quantify the contributions of your board. Personal gestures, such as sending notes or placing phone calls to say “please” and “thank you” help reinforce connectivity to your readers, authors, reviewers, board members, and office staff. Editors have a fiduciary duty to their journals to sustain them. Customer satisfaction: Understand the needs of your customers (readers, authors, sponsors, physicians, patients, etc) and rank them based on importance. If you edit an association-sponsored journal, recognize that your members are likely your journal’s most important constituents. Your journal must be perceived as adding value to the membership equation. Integrity = Independence. Notwithstanding the allegiance of journal editors to society journal owners and sponsors, editorial integrity and independence are paramount even when editorial content counters prevailing politics within the specialty society. A strategic plan should govern decision making. If you are interested in achieving long-term objectives for your journal, sweat the details, formalize a plan, and then live by it. Your written plan and direction will pave the way for you to achieve your goals. Polsky showed how financial support for biomed journals traces to three broad revenue sources: individuals, institutions, and industry. He also detailed the mechanics of the subscription model. Among his observations, he shared that industry pays for eyeballs—updated circulation statements and demonstrated reader attention are vital. However your publications may be designed, whichever business models they may pursue, the importance of meeting reader needs should remain paramount to your enterprise, and will be the driver to revenues through all of your primary business channels. Keep content engaging—add video and personal messages from the editor and board members. Match the print and online journals in terms of journal image and culture. Give readers a reason to return to your site with weekly updates and online-only content. Optimize the navigation of your site. Make content discoverable and accessible from search engines such as Google. Review critically at regular intervals. With every new initiative, measure the outcomes of your actions so that you see the fruits of your labor and assess what worked and what didn’t work. Hundley provided a very comprehensive presentation on open access. She started off by defining it: “Open access is the free, immediate, online availability of research articles, coupled with the rights to use these articles fully in the digital environment” (www.sparc.arl.org/issues/openaccess). Open access is different from free access. Free access means the articles are freely available to readers, but copyright remains with the publisher or society/association. Open access includes free access to papers (meaning that readers do not have to pay for access), but the copyright of the paper stays with the author. Authors sign a Creative Commons license, as offered by the journal or publisher. Copyright assignment should be clearly indicated on the journal website. All authors, not just corresponding authors, must sign the copyright assignment. Does the association/society or publisher have a vested interest in retaining copyright? Does the association/society or publisher have a vested interest in the fees received for page charges/color/ extra word charges? What type of license should our journal consider? Should all articles use only a Creative Commons license, or can we have a hybrid model? What does it mean to have a hybrid model? How are permissions handled for open access journals? 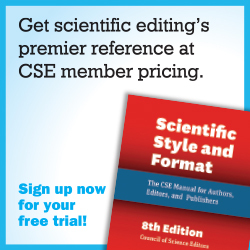 Journals work with a variety of stakeholders: editors and editorial board members, authors, reviewers, readers, association/ society, institution, and publisher. How do you operate within these parameters? The most important considerations are to respond in a timely manner to authors, reviewers, and editors; to publish the best available papers; to disseminate science quickly; and to work within agreed on parameters set by your association/ society. To ensure you can sustain these goals, you should have a written procedures manual, clear job descriptions, cross-training to account for vacations, professional development, performance reviews, and periodic reporting to the society/editorial board. 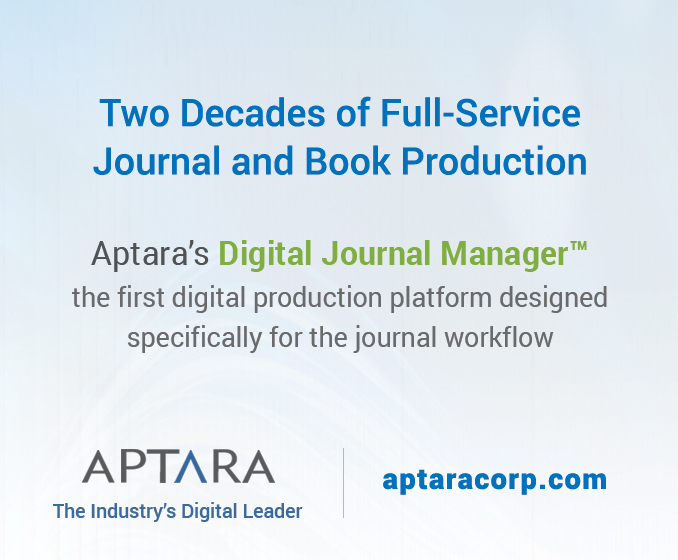 Do you self-publish your journal? 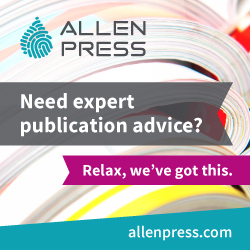 Do you work with a commercial publisher? What is the best option for your journal? Are you resource strapped? Do you have the expertise and infrastructure in-house to meet your publication goals? Before answering these questions, Polsky encouraged us to take a step back and write the “story” of our own journals. How did the publication begin? What are its priorities? Which publishing models are best suited to your journal? He then explored the pros and cons of working with publishers, the value of the resources and cost efficiencies they can bring to the relationship, plus the complications of working with partners. Among benefits, for instance, he pointed out the difficulty that small and unaffiliated journals have in attempting to sell subscriptions to institutional customers today without the support of established publishers. His concluding recommendation was to consider conducting a request for proposals. Understand, however, that you are able to determine the parameters of your publisher relationship. And you should only sign an agreement if the relationship meets or exceeds your expectations. Through various media, you can promote your articles. Select the right paper to disseminate. The article should be practical and applicable to your audience. Establish a YouTube channel to host your video content such as author interviews. Remember to create a personal, introductory video message for your readers. Social media is about being social and connecting with readers. Twitter and Facebook are different ways to connect—find out what your readers are using and go there. The quality of your followers is more important than the quantity. Each social media tool should have its own strategy. Don’t re-purpose material to all tools—you risk overloading the same followers with the same information. How do you know whether you have a great journal and whether new initiatives are having the intended effect at your journal? Know your baseline metrics before and after an intervention. Metrics should focus on those issues you can control (e.g., time to first decision, time from acceptance to publication) and that have meaning for your journal’s wellbeing. Excessive, non-actionable metrics are a distraction and waste of time. Use metrics to chart your progress and compare your journal with other journals in your own sphere. There are many tools you can use to assess the growth of your journal, including impact factor (based on citations resulting from articles published in the 2 previous years); 5-year impact factor (like impact factor but based on articles published in the 5 previous years); Eigenfactor (considers all citations and weighs them based on the importance of the citing journals; doubles as the number of articles published per journal doubles); and article influence score (Eigenfactor corrected for the number of articles; functionally a “weighted” impact factor). Great metrics come with great content. Use your board to recruit great content and approach potential authors. Be their cheerleaders! Go to relevant association meetings and conferences and invite authors. Prepare a “brag sheet” with your metrics and strengths, have your business card in hand, and approach potential authors. Your board members are also good journal ambassadors—provide them with talking points. Get younger scientists and professionals involved in the journal—these younger authors are future ambassadors. Our two-day short course ended with open discussions on peer review and journal “war stories.” It was enlightening to hear other journal editors with similar stories and solutions.